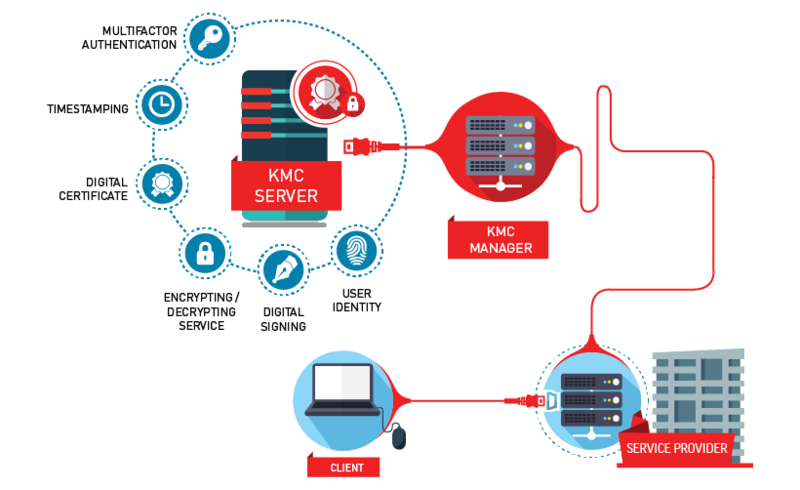 KMC is a new business concept and approach by DIGICERT in offering PKI service to customers in contrast with the current conventional business practice in certificate issuance. With the implementation of KMC, DIGICERT is capable to provide Managed PKI Services to customers by leveraging on the PKI Roaming technology. Key Enrolment: Process PKI credential issuance with RA trust validation. Key Management: Automate key and certificate management for the entire life-cycle of certificate. Clients do not need to handle certificate operation for respective applications.